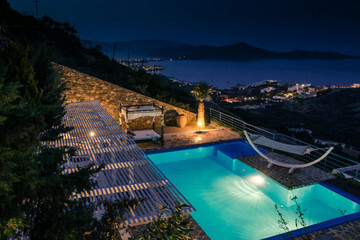 Perched high on the hillside, Villa Sapphire offers amazing views of Elounda and the sparkling blue Aegean Sea from every room in the house. Completed in 2007, the pretty part stone clad villa boasts top quality furnishings and fittings combined with the latest in modern technology. 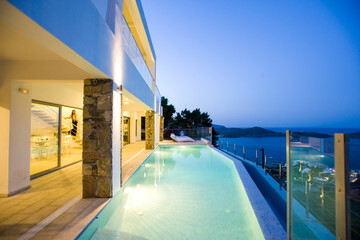 Villa Pelagos offers the true Mediterranean experience, connecting luxury to natural environment and local culture. Exquisitely furnished with pure comfort in mind, the elegant and stylish interior decor flows seamlessly through to the outdoors creating the perfect environment for relaxation. 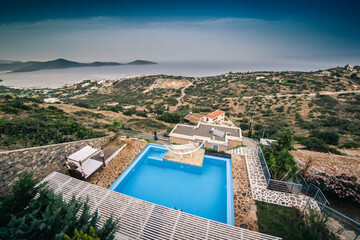 A seaside paradise in an extraordinary setting, Villa Elοunda offers its enormous variety of services in a unique local atmosphere and ambiance.